DELTAIR - Self Contained Breathing Apparatus (S.C.B.A.) for firefighters was a research project conducted to improve the SCBA design used by firefighters. The research team used a co-design approach to work with veteran firefighters across the United States. Participants were selected to include different regions, climates and population densities. 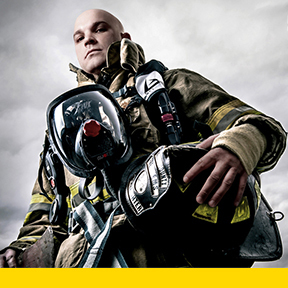 The research was designed to balance firefighter preferences with current standards to create the ideal SCBA.